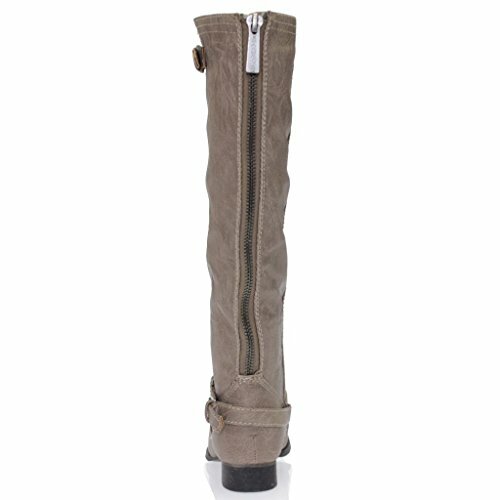 Include some twist to your wardrobe with these stylish riding knee higher boots. 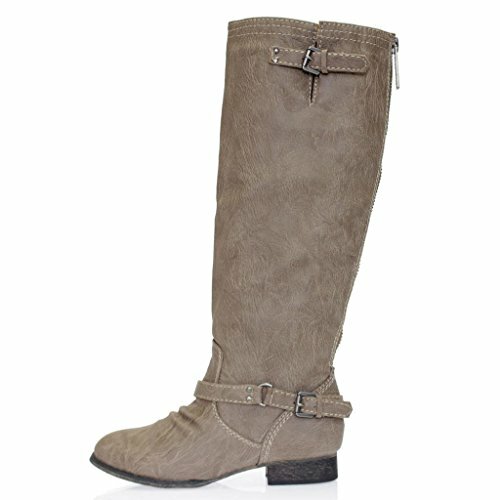 Featured round toe, ruched particulars on front vamp, wrapped all around strap with buckle decor at ankle, and low heel. Exposed rear zipper closure for effortless on/off. 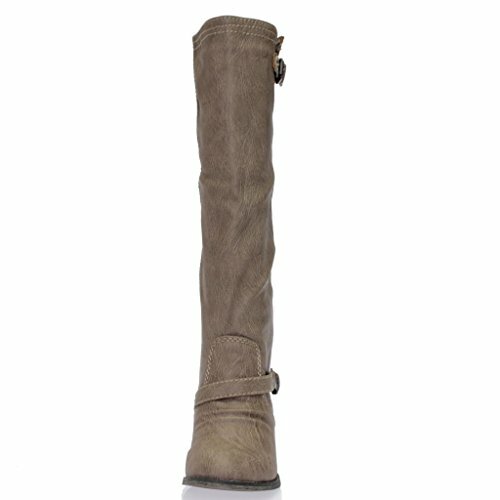 Completed with cushioned insole and smooth interior lining for all day comfort. Heel Height: Approx. 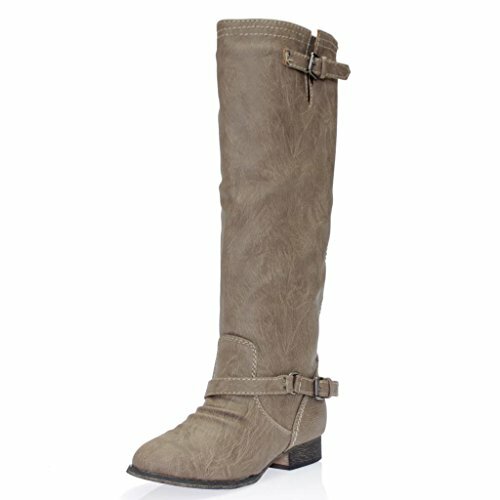 1" w/ 0.25" Platform ; Shaft Length (including heel): 16.75"; Top Opening Circumference: 15.75"